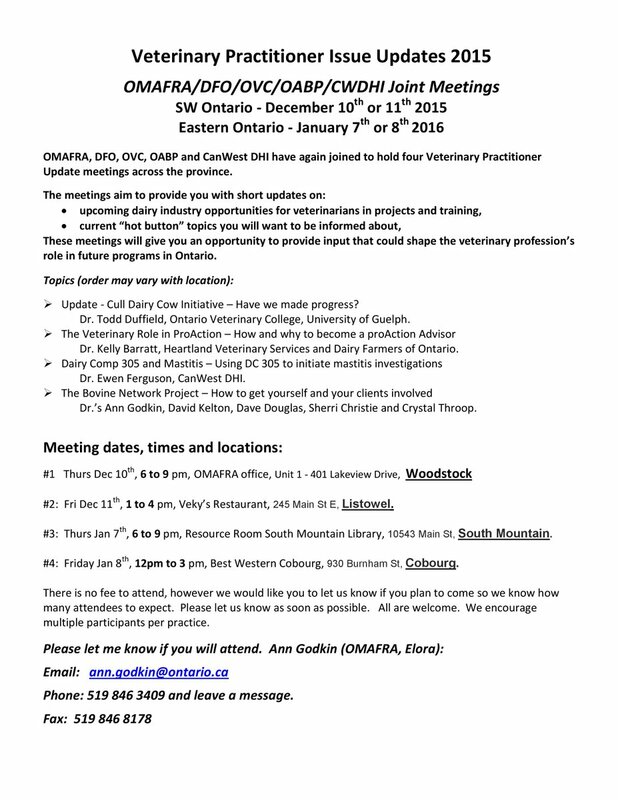 Are you a bovine practitioner in Ontario? You might be interested in the Joint Update Meetings coming up. Do you have backyard poultry? Check out these free producer updates! Some of our OAHN vets are presenting! Stay vigilant on Seneca Valley Virus!